This striking, juicily sweet leafy green is made for stir-fries and steaming. 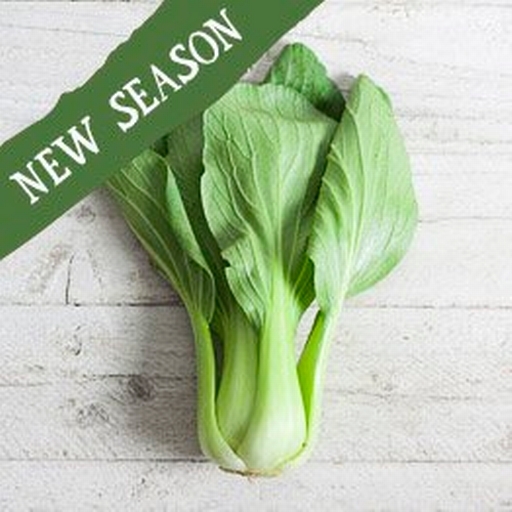 It’s a Chinese vegetable related to the cabbage, and it goes well with Asian flavours like ginger, garlic, soy sauce, chilli and sesame. Its succulent crunch is also good raw in salads, cooked as a spinach-like side, or added to a noodle soup or curry. To prepare it, remove the leaves and give them a wash, cut the leaves into strips then steam or stir fry.